It's not at all rare but Iron Pyrite (Fe S2, aka "Fool's Gold") just knocks me out. The molecules somehow "know" how to assemble themselves into nearly perfect cubes. For some reason this amazes me even more than quartz or other crystals, I guess because it looks so artificial but it's not. [Note that the pictured crystal was not shaped; it formed that way naturally. Pyrite, of course, doesn't always form into such sharply-cut shapes. But, on the occasions that it does, the explanation lies deep in the structure of the of the mineral itself. 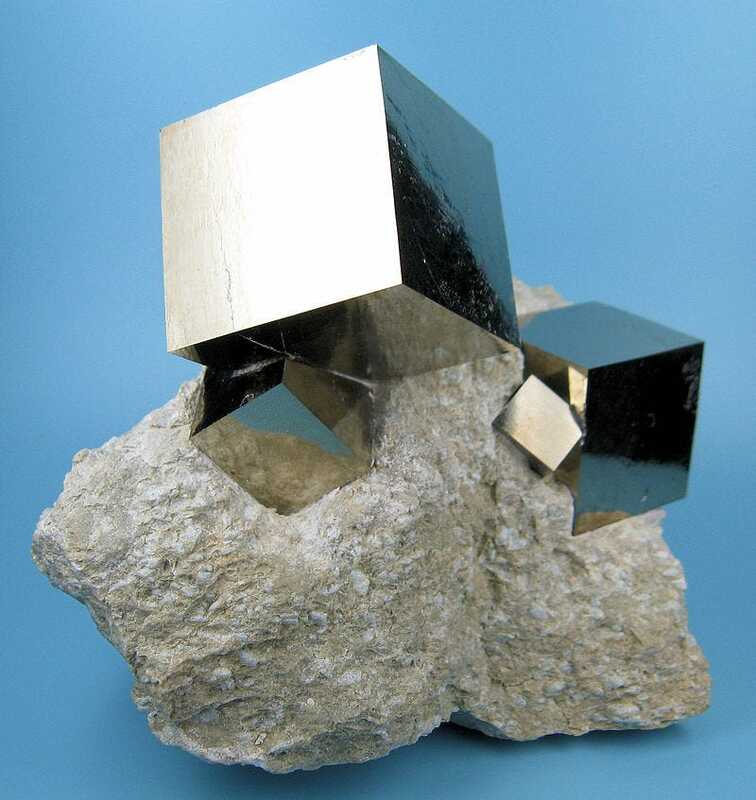 Pyrite contains both iron and sulfur. As drawn out in the above diagram from Indiana's Geological Survey, those iron and sulfur molecules join themselves into rigid bonds to create a system of cubic crystals. It's that isometric structure which then forms the sharp planes and lines that you see in the examples above.